Every popup has a design that must be specified for it to load. It is the actual content that is displayed in a popup. 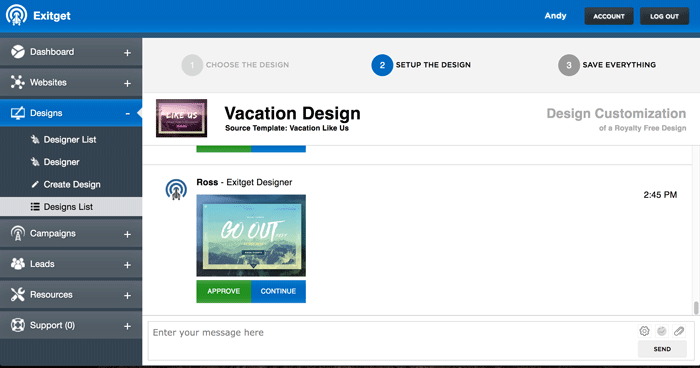 The create design section is where you either upload a design or choose one from our design templates. 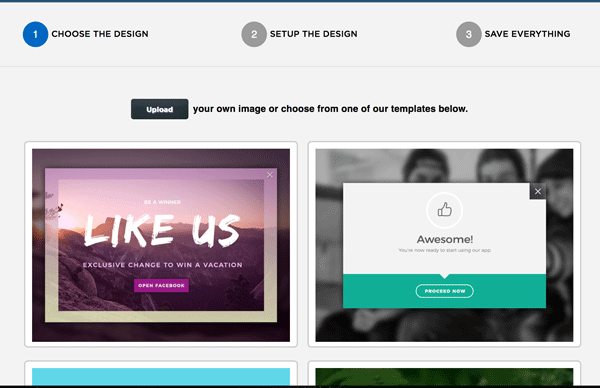 We create new templates on a regular basis and will customize the to your needs. Depending on which of these options you choose step 2 will be different. Once your image has finished uploading you are able add hotspot over top the image indicating where the dynamic region are. Just like is explained in the Dynamic Regions section of the QuickStart guide, step 2 will be where you configure the hotspot dynamic regions. There are 3 types of hotspots. Text input: To capture text information such as an email. Redirection button: Close the dialog and forward the visitor to somewhere. Cancel button: Simply close the popup with no conversion. 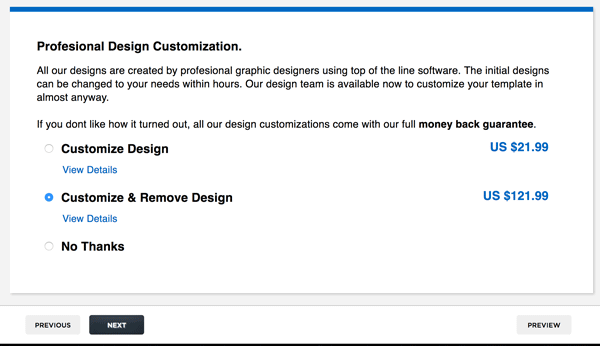 Here you’re taken to a page where we offer our expert design services for you to customize the template design you chose. Customize Design: One of our expert designers will work with you to professionally customize this design to your needs. Customize & Remove Design: We will remove this design from our catalog so no one can use it anymore, then one of our expert designers will work with you to professionally customize this design to your needs. No Thanks: You are taken to the final step without needing to pay anything. You either uploaded your own design or choose not to customize one of ours, you are taken to the final step where you can simply name your design and save it. If you chose a template with a customization service, you have an additional pod where your payment details are displayed. Starting the payment process will automatically save the design. 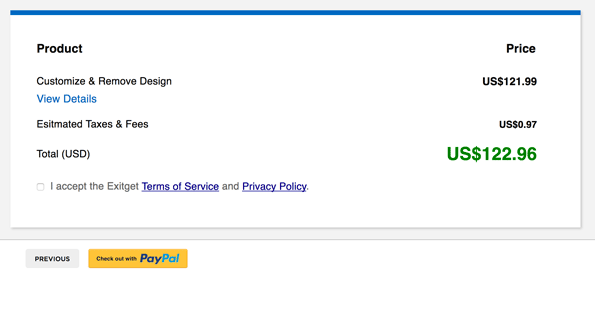 After completing the payment you are directly taken back into the design you created on the Step 2 section. Here you will correspond with one of our designs expert designers to customize your design until your satisfaction has been met.